trades people and the serious DIY user. 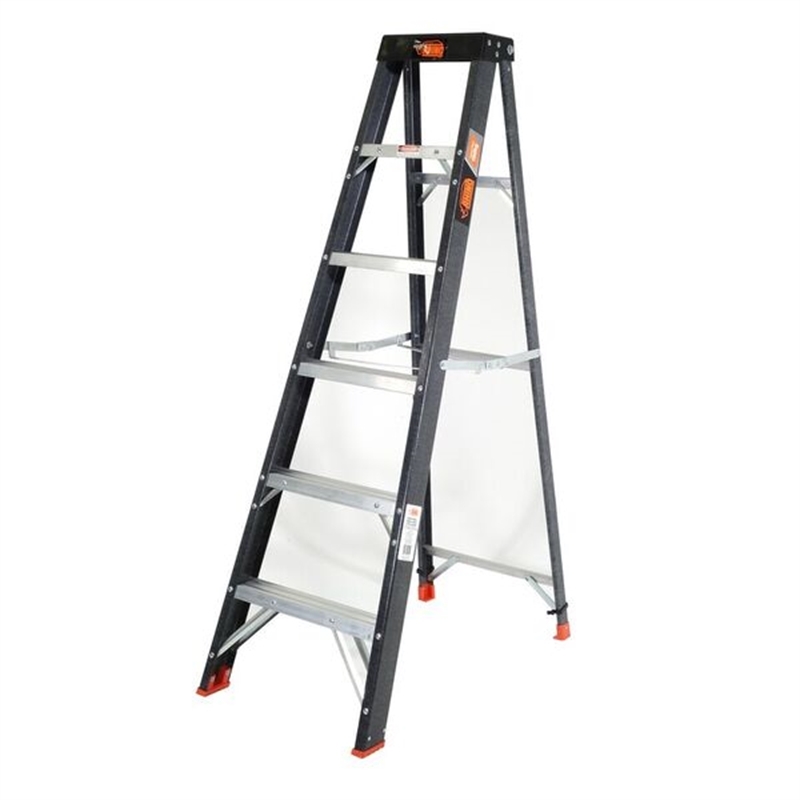 Fibreglass ladders provide isolation between the user and earth, reducing (but not eliminating) the risk of electrocution, so it is a great option for electrical work or construction around live power sources. 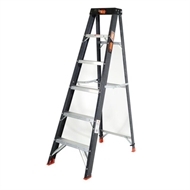 It features anti slip treads which minimise the risk of slipping, a top cap organiser for easy tool storage whilst working, cross brace spreader for extra stability and a 1 year limited warranty against manufacturers faults and defects.